With the advances in wireless technology during the past years, continued and reliable connectivity has been also ensured through broadband access network. A present day wireless network which provides affordable speed to end user requirements is wireless LAN (IEEE 802.11 standard), which is commercially known as wireless fidelity (Wi-Fi). One of its shortcomings is limited coverage area and thus, there is a need for wireless networks which can provide high speed with maximum coverage. WiMAX overcomes this need for broadband access with a high coverage area. But the installation cost of WiMAX is considerably high as compared to WLAN. So, the interworking of these two networks will ensure high speed broadband access at all times, a considerable coverage area, and reduced cost. However, interworking of these two networks allows the accommodation of the maximum number of subscribers. Bandwidth efficiency provides insight information of how the frequency spectrum is effectively utilized. To accomplish the mentioned aims, literature reviews are done and network scenarios are simulated using OPNET Modeler. The aim of literature review is to clear and build the basic concepts regarding bandwidth efficiency in a network. 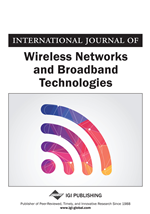 Moreover, to give an insight to the identified problem mathematical modeling of the bandwidth allocation mechanism in IEEE 802.16 and 802.11 is done, to show how bandwidth is allocated in these networks. After performing simulations with fixed nodes, mobile nodes are introduced and their effects on the network bandwidth performance are analyzed.